In a little over two months the Colorado Springs Sky Sox will take the field for their first game of the 2013 season. In preparation for the upcoming season Sox the Fox and the Sky Sox staff have been busy attending various events in the community. 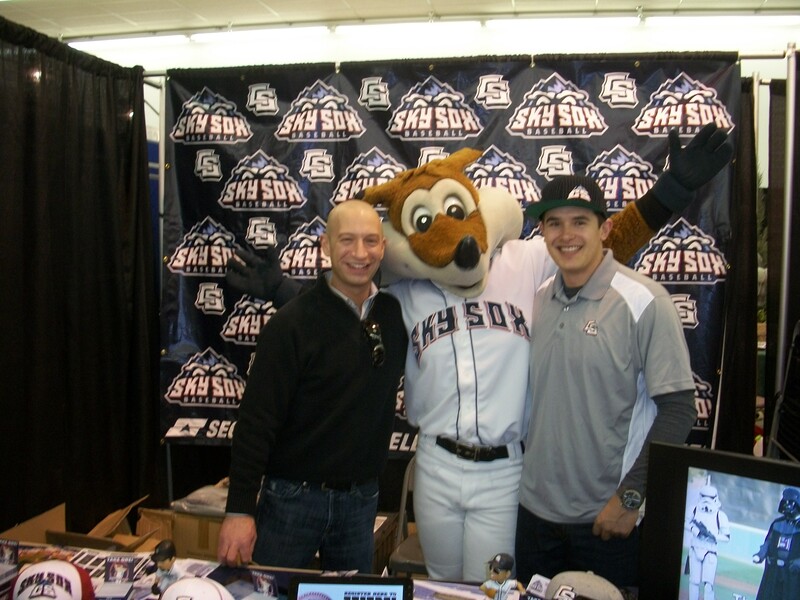 Just last week Sox made an appearance at the Home and Landscaping Show at the Colorado Springs Event Center. Sox shows off the balloon animal fox he got at the Home and Landscaping Show. 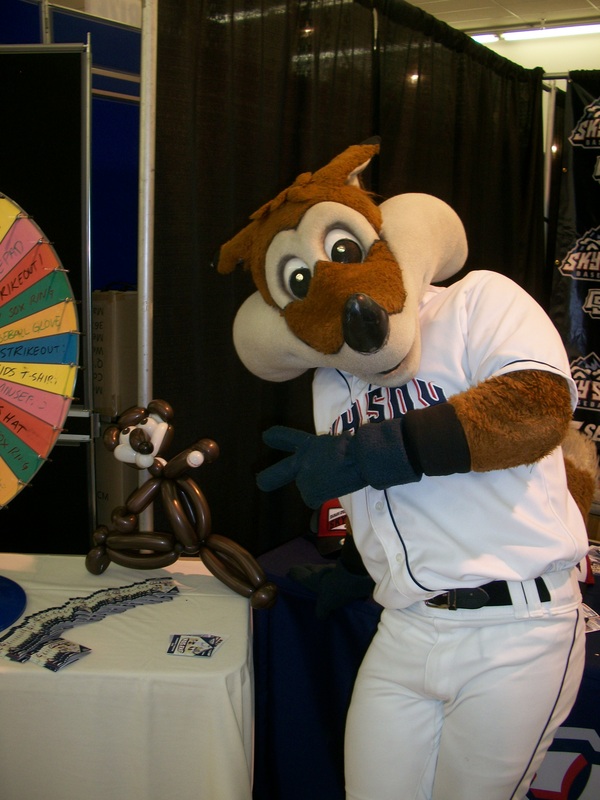 At the event the Sky Sox had a prize wheel and were giving out free Sky Sox merchandise to hundreds of fans! Director of Corporate Sales Chris Phillips and Group Sales Manager Drew Trujillo pose with Sox in front of the Sky Sox booth at the Home and Landscaping Show. 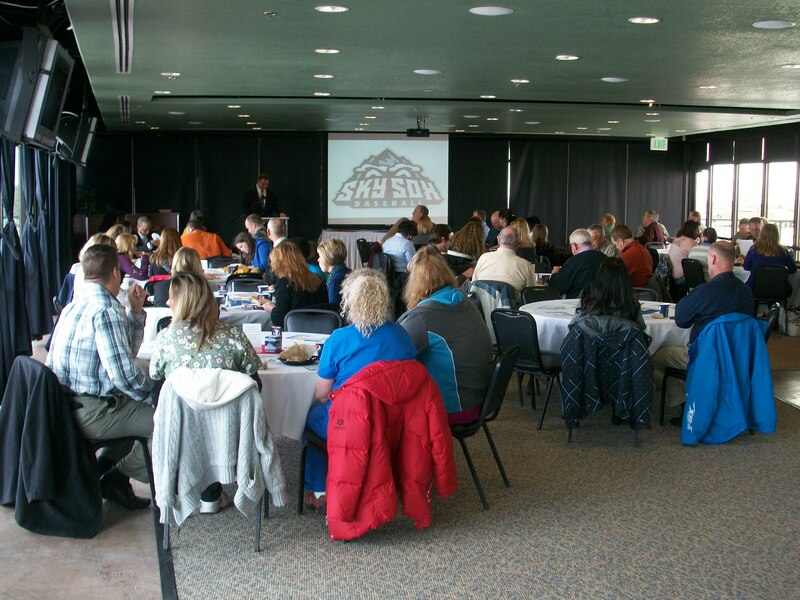 This week the Sky Sox also hosted their first VIP Luncheon. The VIP Luncheon provides the Sky Sox with an opportunity to showcase the ball park and their hospitality options to local groups and organizations. General Manager/President Tony Ensor speaks to local business owners about the Sky Sox. The Sky Sox will also be out at several events this weekend. Here is the schedule on when and where you can find the Sky Sox this weekend!